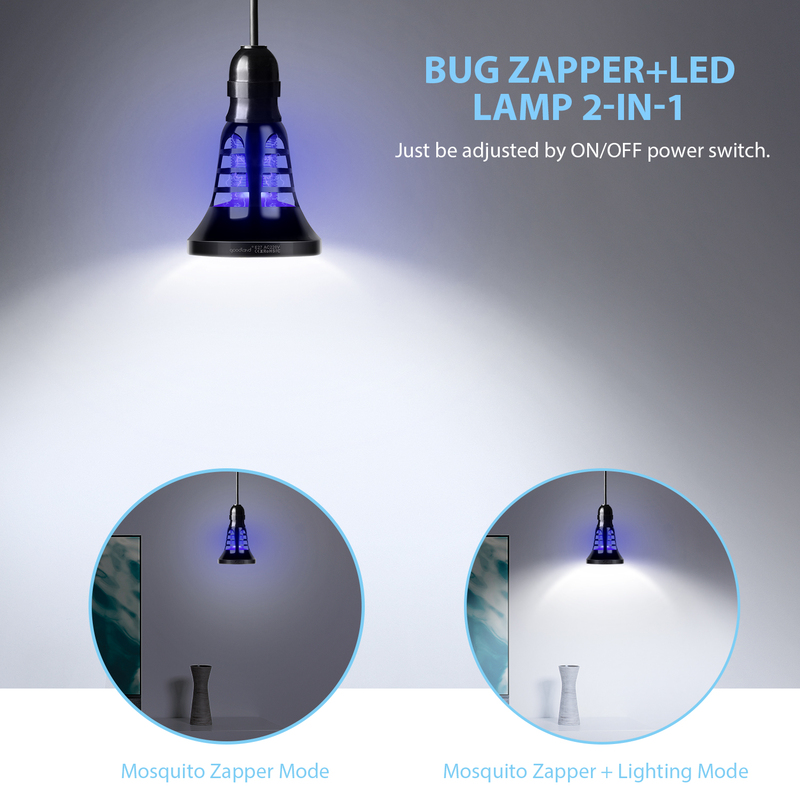 Bug Zapper + LED Lamp 2-in-1. 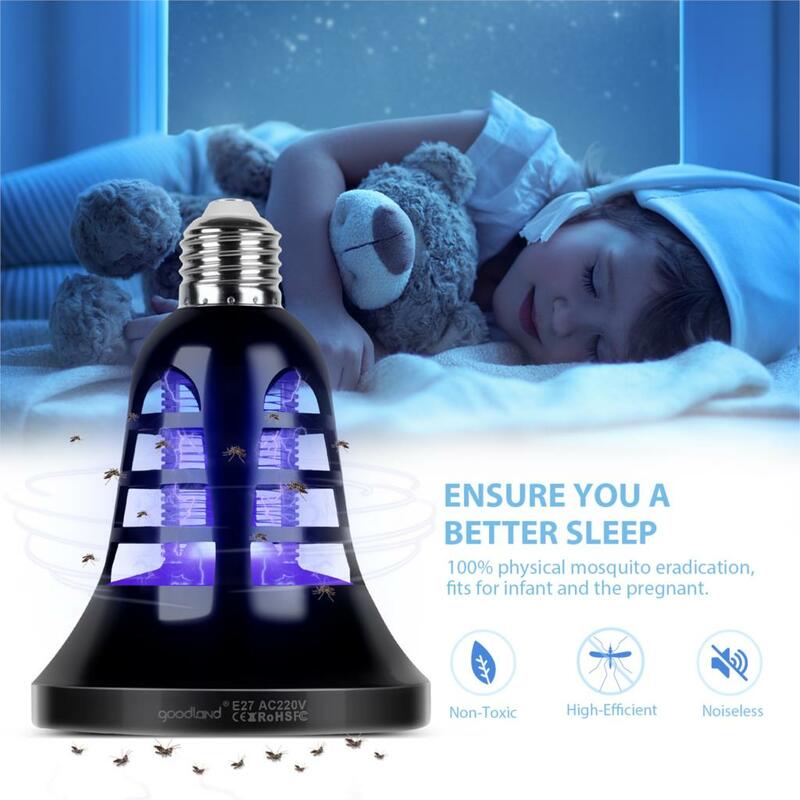 Mosquito Zapper Mode + Lighting & Mosquito Zapper Mode. 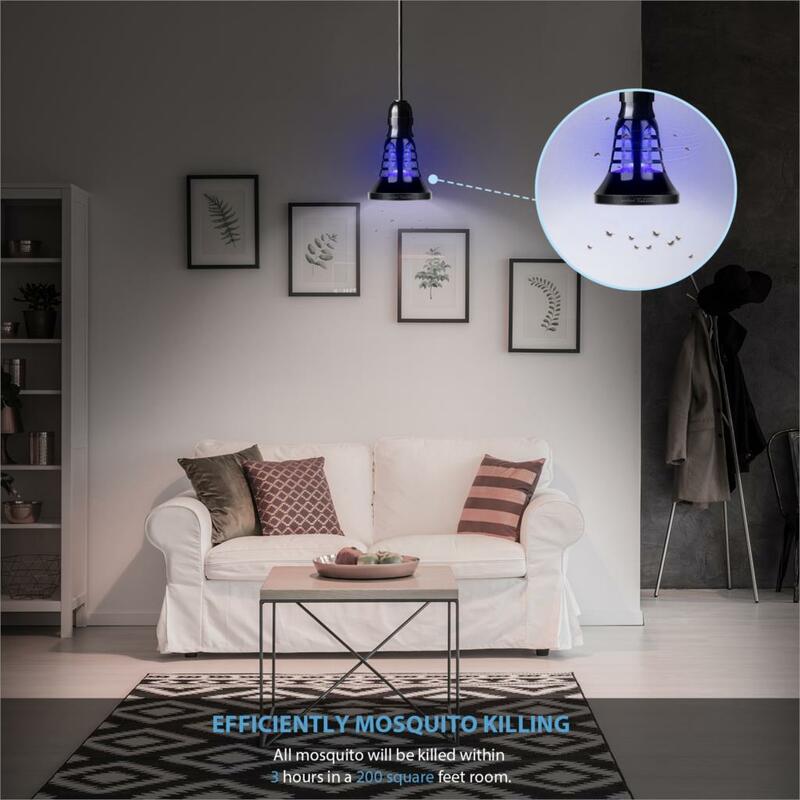 Kill mosquito within 3 hours in a 200 square feet room. Based on physics principle, environment friendly and no harm to human body. Made of high quality PC and copper wire material, lightweight and portable. With a little brush for you to clean, easy and convenient. 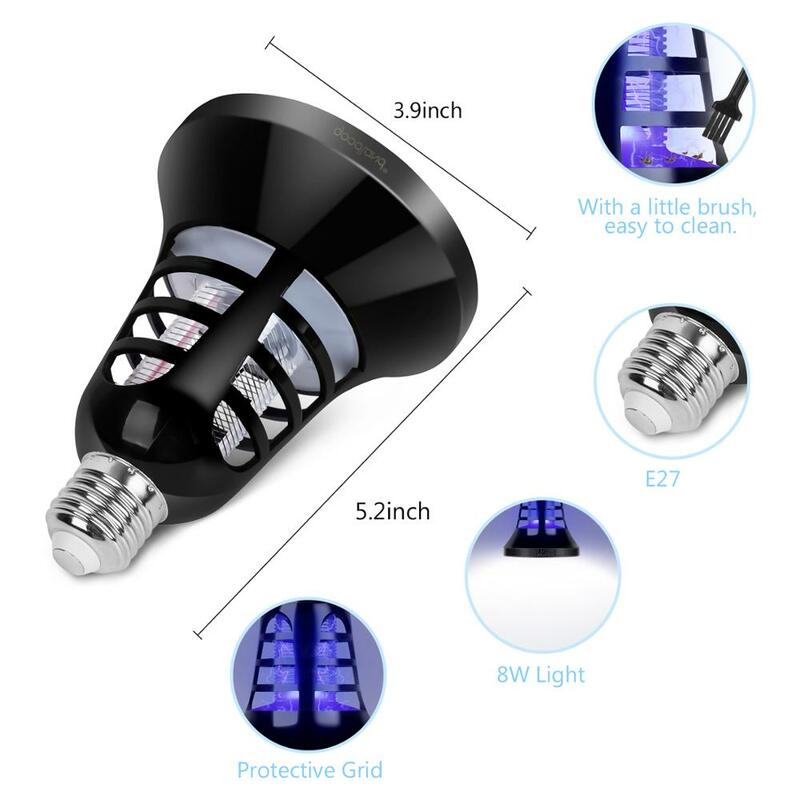 Can be applied in both indoor and outdoor. 1. It’s recommended to close all windows and doors and other light sources before using. 2. 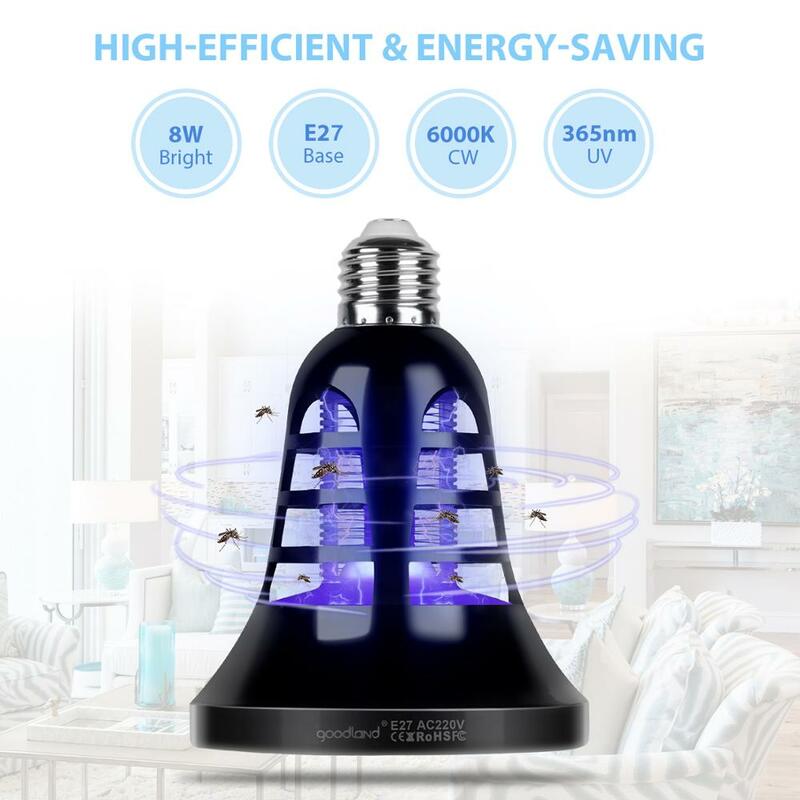 Please keep the mosquito lamp open for about 3 hours before you came into the room. 3. It’s recommended to install it on top ceiling or where 1.8m height. 4. 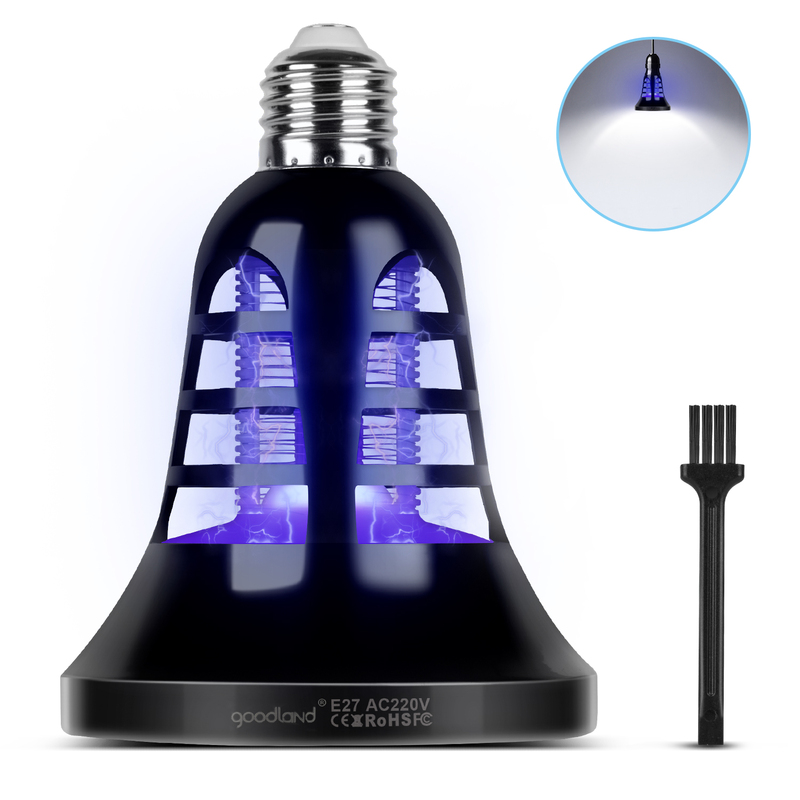 Crackling noise is normal when flying was electric shocked by killing lamp. 5. Please do not use the lamp above food or drinking. 6. Please do not use the lamp at where easy to occur explosion. 7. Please do not use this lamp as emergency lighting. 8. 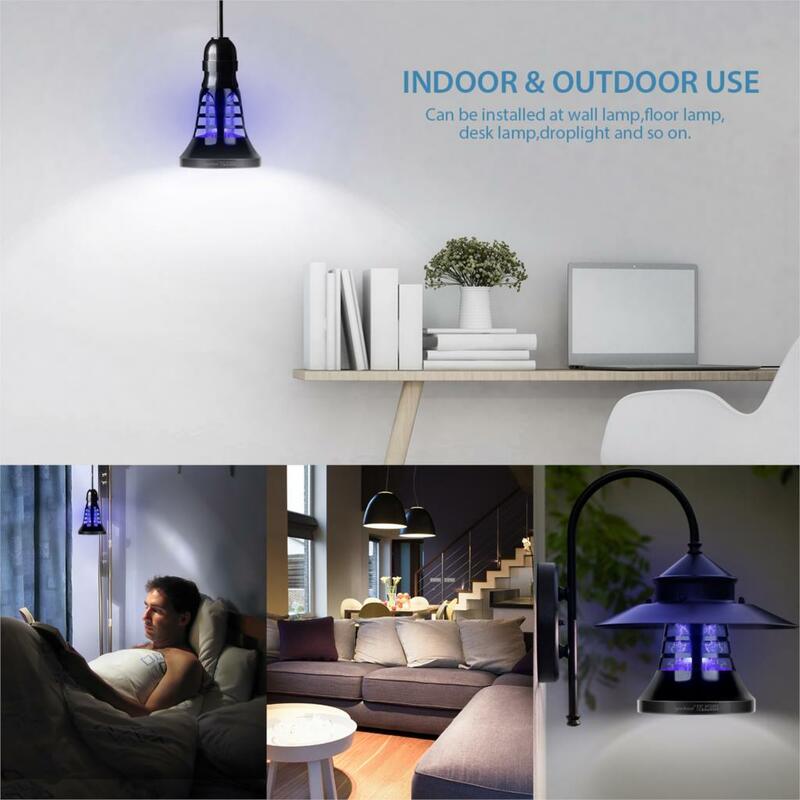 It’s not waterproof, please use it for indoor and covered outdoor area. 9. For safety, please keep it far away from children. 10. Please clean the brush periodically with the matching brush. Remember to cut the power before cleaning.